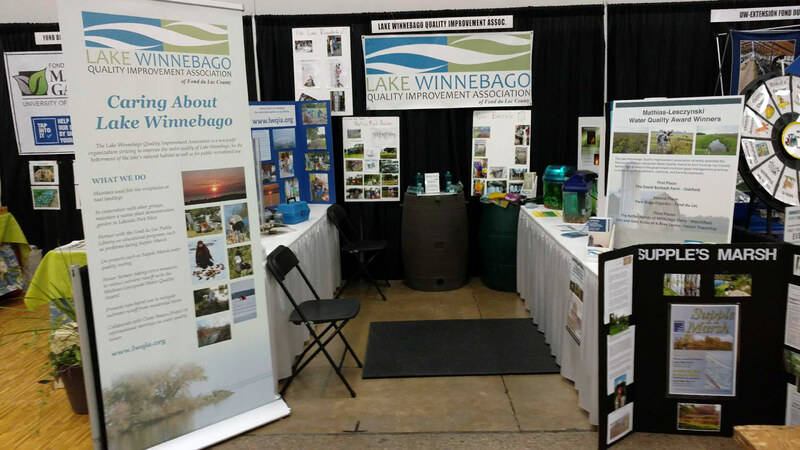 Below you will find articles covering past events sponsored by, or done in collaboration with, the Lake Winnebago Quality Improvement Association. To read our meeting articles, click the Meetings tab above. Cattails and reeds are integral to marshland beauty, but some of those species actually are invasive, creating an unfriendly habitat to native plants and animals. The Wisconsin Dept. 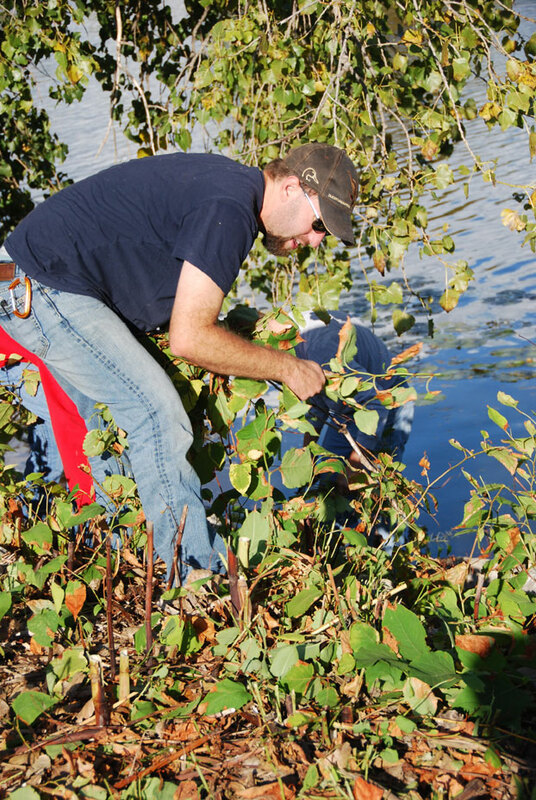 of Natural Resources has been at work in Horicon Marsh to reduce invasive plants. The question of using those methods in Fond du Lac will be discussed at "Horicon Marsh Methods for Supple Marsh?" at 6:30 p.m. Wednesday, May 2, at the Fond du Lac Public Library. The program is free; no registration required. Paul Samerdyke, wildlife biologist for Dodge County, will explain what the DNR is doing in Horicon Marsh to reduce invasive reeds (also known as phragmites) and cattails without destroying the native species. 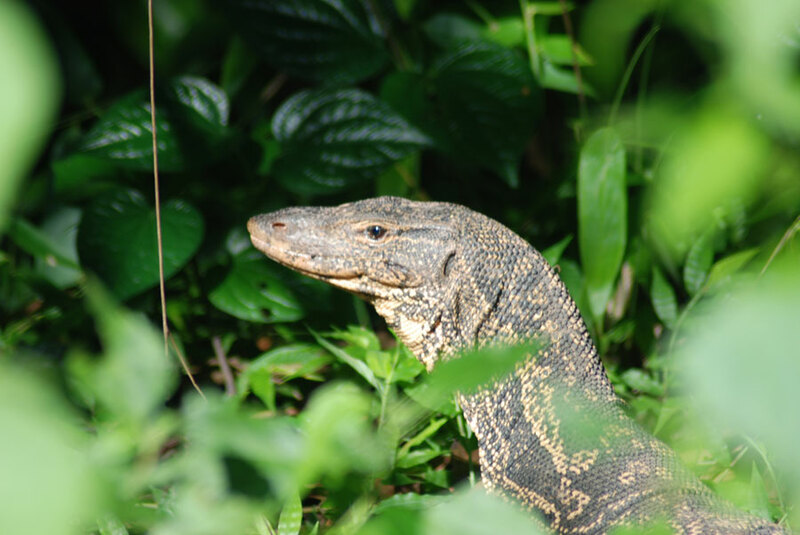 The invasives can grow so dense that they choke out native plants and reduce wildlife habitat. The program is presented by the City of Fond du Lac, Clean Waters Project, Lake Winnebago Quality Improvement Association of Fond du Lac County and ParkWatch of Fond du Lac. 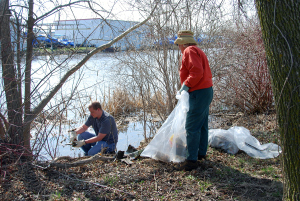 The Fox Wolf Watershed Alliance is sponsoring a Lake-wide cleanup day on April 21st at 9:00am. The two locations in our area are Supples Marsh and Lakeside Park. The registration site is http://fwwa.org/events-calendar/watershed-cleanup/. It takes about 2 minutes to complete a registration. Alan Weir, an LWQIA member, will be the site leader at Supples Marsh. The following images are from the Ag Showcase at the FdL Fairgrounds on March 3rd. Gail O’Connell and Alan Weir designed and staffed the booth. The September issue looks at the nature and chemistry of the element phosphorus. The October issue focuses on phosphorus in the environment and the phosphorus cycle. The November issue reviews the role of phosphorus in living cells. 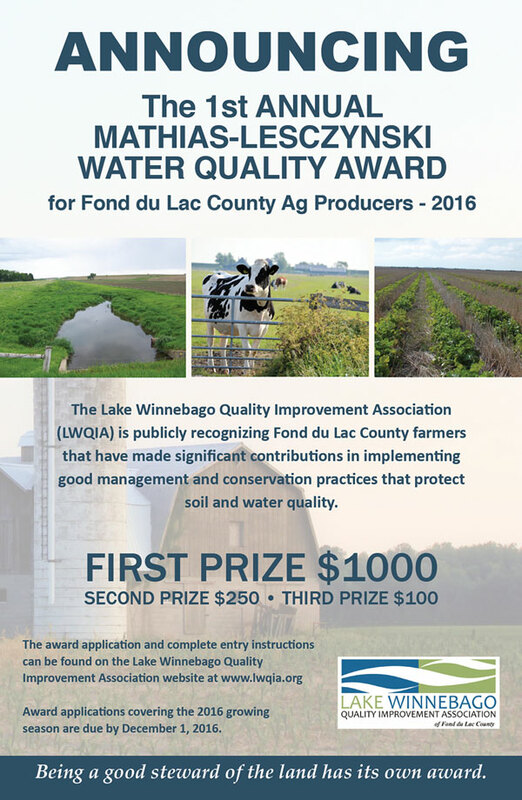 The Lake Winnebago Quality Improvement Association (LWQIA) is launching the first annual Mathias-Lesczynski Water Quality Award to publicly recognize Fond du Lac County farmers that go beyond the government minimum good management practices to prevent runoff of sediment, nutrients, and harmful chemicals. The quality of Lake Winnebago, and other surface waters in Fond du Lac County, has a tremendous impact on our local economy and our quality of life. Agricultural runoff is a significant factor affecting surface water quality. LWQIA believes that agricultural practices that effectively manage nutrients, fertilizers and runoff not only promote clean waters but protect valuable agricultural land. This water quality award, named for Lynn Mathias and Erv Lesczynski who have dedicated their careers to promoting sound agricultural practices, seeks to recognize and reward farmers who share a commitment to these ends. Three awards will be presented in the amounts of $1,000, $250, and $100.The 2016 award will acknowledge improved water quality practices that were implemented in 2016. 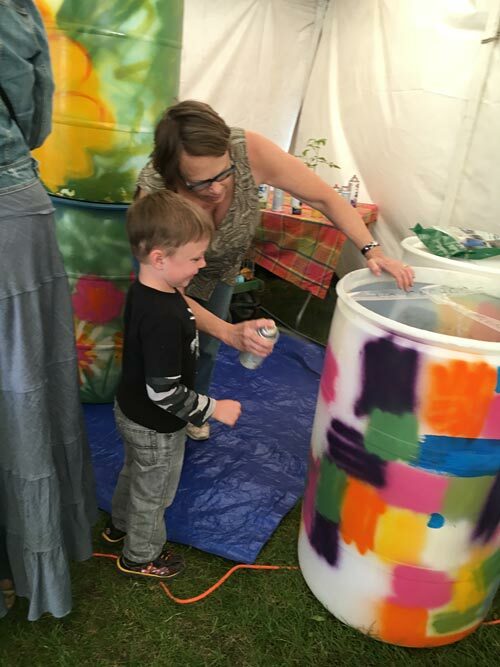 The financial portion of the awards will be sponsored by a select group of corporate citizens or organizations with connections to the agricultural community and/or an interest in the health of Lake Winnebago. The awards will be presented to the recipients in July 2017. Award applications covering the 2016 growing season are due by December 1, 2016. Applicants are asked to document how they have exceeded minimally required or recommended agricultural practices, how their operation works with soil, water, plant and wildlife systems to benefit surface water quality, and leadership roles they have assumed. The award applications will be reviewed and evaluated by a committee of experts in the agricultural field working outside of Fond du Lac County. For additional information about the award, contact Earl Witte at 920-922-3669. 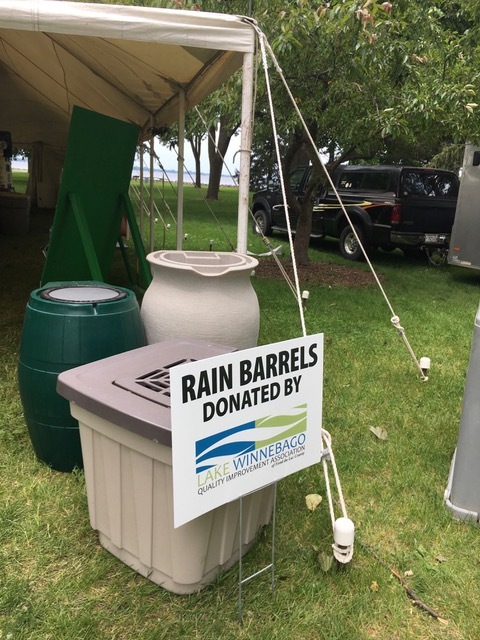 The Lake Winnebago Quality Improvement Association of Fond du Lac County is a nonprofit 501(c)(3) organization dedicated to the improvement of Lake Winnebago for the benefit of the general public and natural habitat. Membership is open to all individuals, families, businesses and organizations that care about Lake Winnebago. 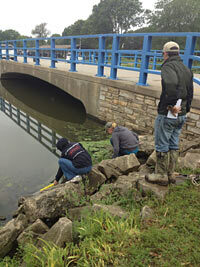 One Saturday morning each fall, area residents volunteer to assess the type and quantity of some invasive species that can impact Lake Winnebago. The Fond du Lac area project is part of a statewide effort to map species so eradication and control work can be effective. 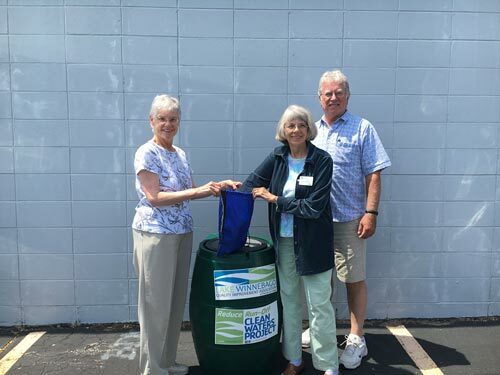 The Lake Winnebago Quality Improvement Association of Fond du Lac County and the Clean Waters Project sponsor the Fond du Lac area volunteers. 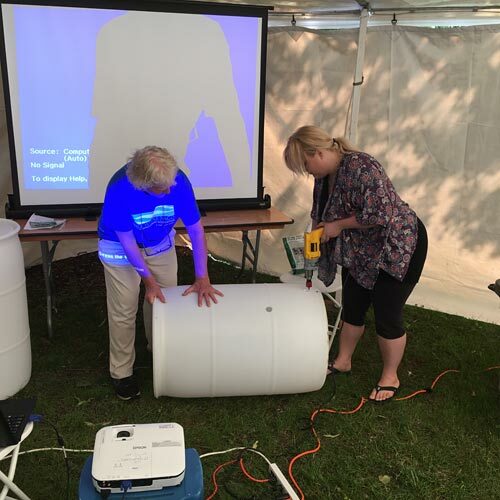 The Lake Winnebago Quality Improvement Association teamed up with the Clean Waters Project to provide representation and education in the Waste Management Conservation Station at Lakeside Park. 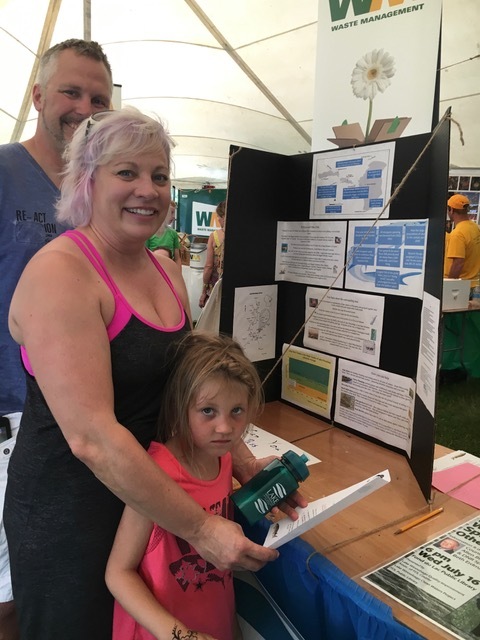 This was the first time Walleye Weekend had a tent devoted to conservation and sustainability, and LWQIA and the Clean Waters Project were proud to be invited to participate. 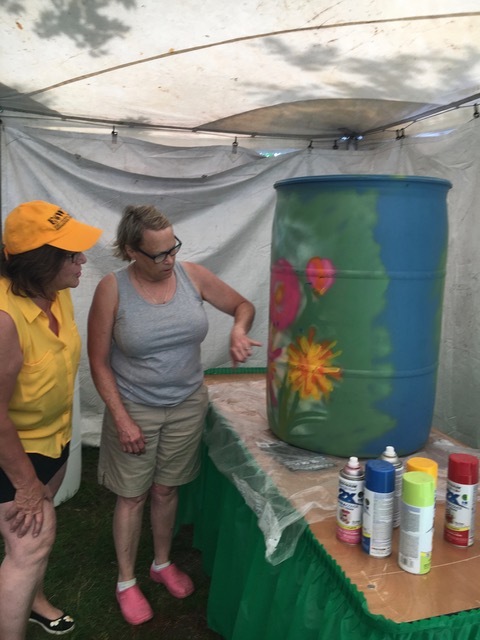 The primary focus of the groups was the value of rain barrels for reducing runoff as well as the variety of rain barrels available for that use. 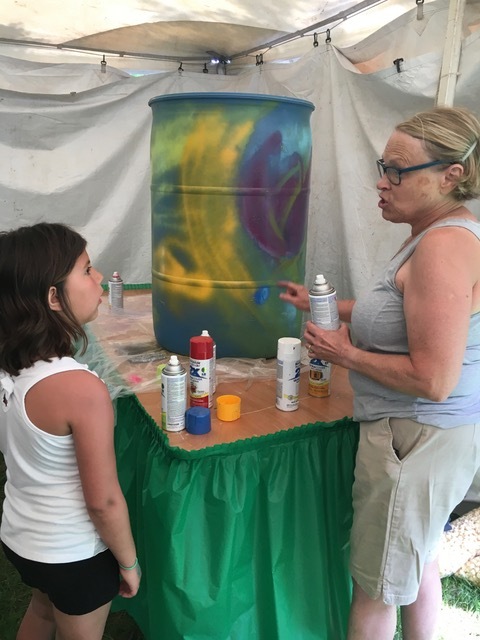 The weekend at the tent included demonstrations for making and painting rain barrels. 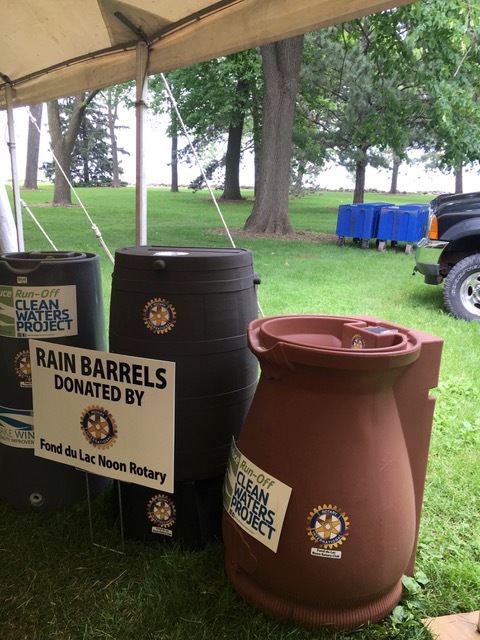 The groups’ effort was primarily supported by the Fond du Lac Noon Rotary with funds for purchasing several barrels for display outside and inside the tent and funds for professional signage. 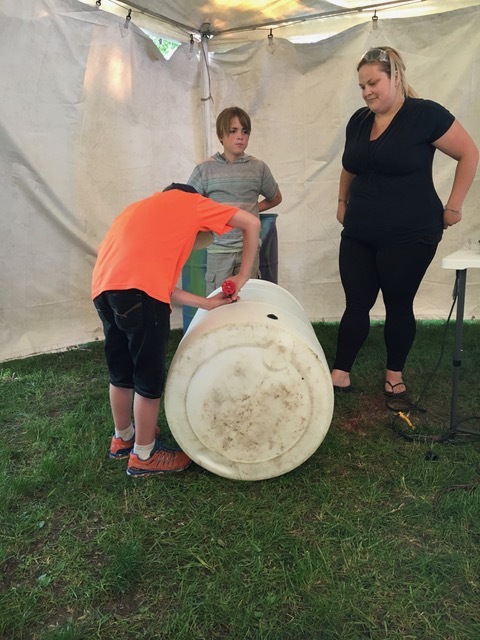 Funds to purchase barrels were also provided by the Winnebago Lakes Council and the Sisters of St. Agnes. 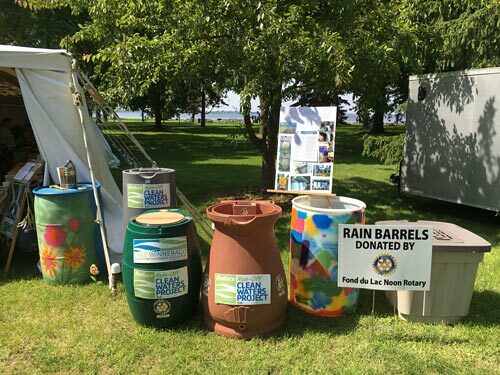 After Walleye Weekend some of the barrels were given to winners of drawings; others have been kept for future educational projects. 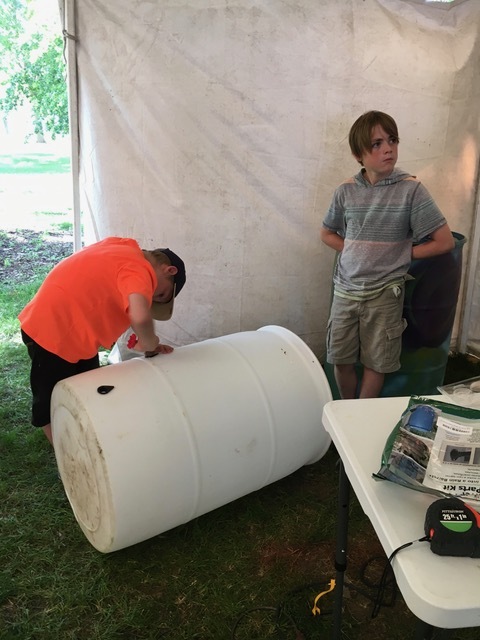 LWQIA and the Clean Waters Project are looking forward to participating in Waste Management ‘s Conservation Station at next year’s Walleye Weekend. On August 29, 2015, over 100 volunteers splashed into streams all across Wisconsin to search for invasive species that threaten recreation and the health of our waters. 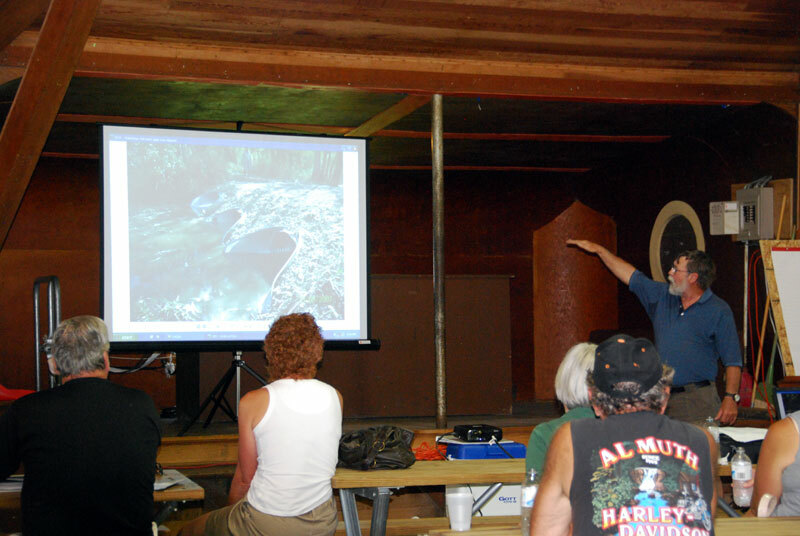 On the morning of the event, volunteers met at one of 17 rendezvous sites around the state and received training on simple monitoring protocols for 22 different species, including wetland plants, aquatic plants and invertebrates. Winnebago Lakes Council sponsored a photo contest for the day for Fond du Lac, Calumet and Winnebago regional teams. Two LWQIA volunteers took prizes. Kaci Baillies took first place and Paul Tollard took third place. Congratulations to you both! 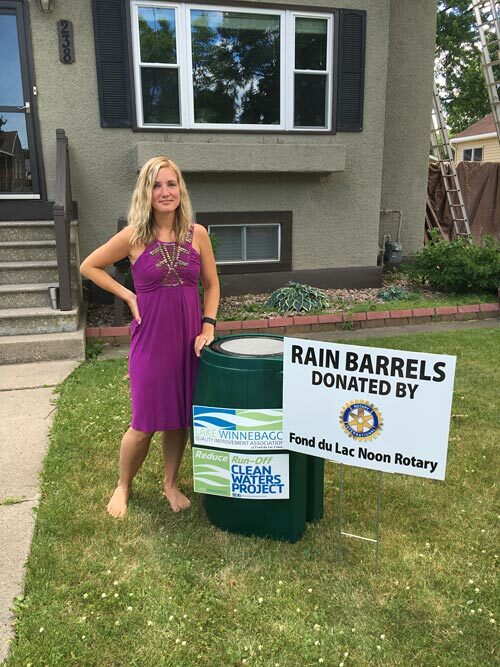 The "Fondy Five," a leadership team from the Fond du Lac Association of Commerce Leadership Program under the guidance of Lesley Manowske, chose to help a local non-profit organization fulfill its mission. The team selected the Lake Winnebago Quality Improvement Association of FdL County. 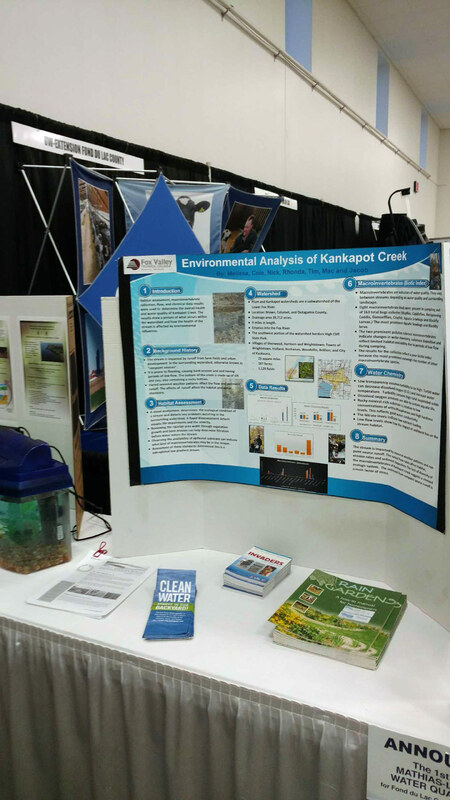 Among other things, the team developed and printed brochures to educate people about the importance of preventing polluted runoff as well as best practices they can use to reduce it. 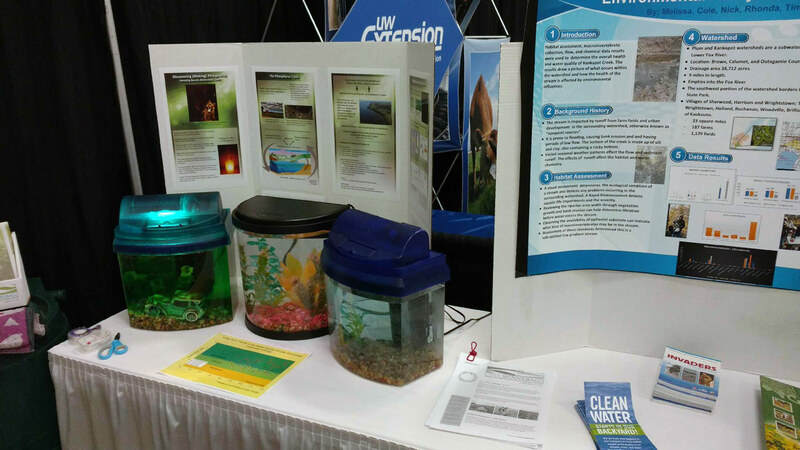 View and/or print the Clean Water flyer and brochure. 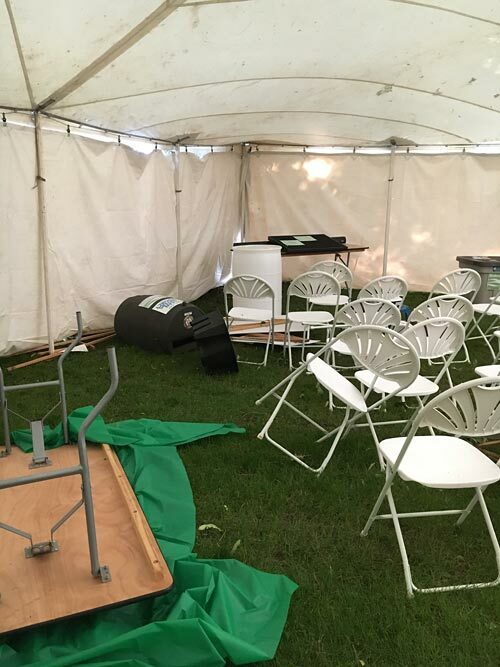 This video is from a project developed by FondyFive, an Association of Commerce Leadership Program Team, to raise awareness and prevent polluted runoff from entering Lake Winnebago. KFIZ podcast with the FondyFive. 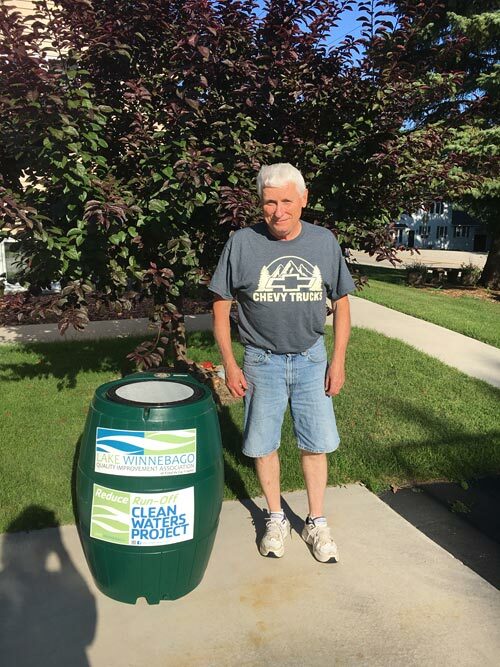 Monday, March 9 @ 7 p.m.
County Conservationist Paul Tollard will bring Winnebago East Shore taxpayers up to date on current runoff prevention actions plus long and short term plans for reducing polluted runoff. 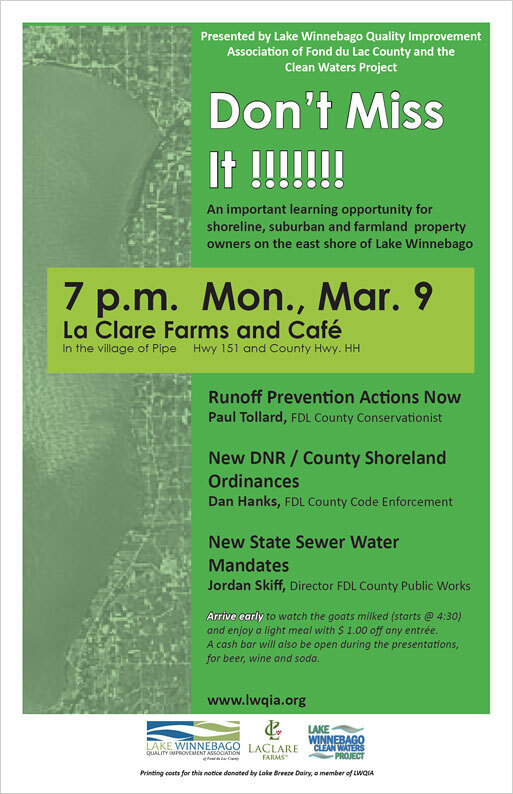 Fond du Lac County Code Enforcement Officer Dan Hanks will present the January 2016 changes to the County Shoreland Ordinance that will impact shoreline, suburban and farmland property owners. Fond du Lac County, Public Works Director Jordan Skiff will reveal the new State limits for harmful matter in treated sewer water that is discharged into the lake, and how it can impact our sewer bills. *Arrive early to watch the goats milked (starts @ 4:30) and enjoy a light meal with $ 1.00 off any entrée. A cash bar will also be open during the presentations, for beer, wine and soda. HELP! Please tell your neighbor about this important event. Our budget only permitted sending this notice to 1/3 of the total combined taxpayers in Taycheedah and Calumet Townships. 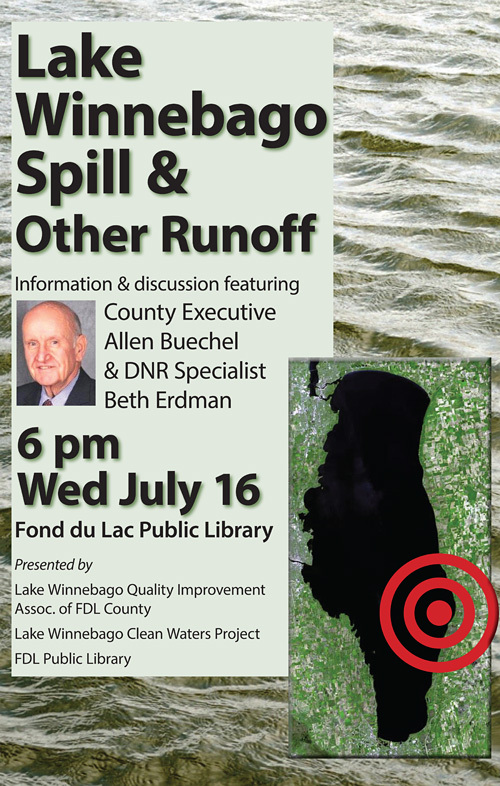 The Clean Waters Project and Lake Winnebago Quality Improvement Association will present “Rules and Recommendations for Preventing Polluted Runoff” at 6 p.m. Tuesday, January 13, at the Fond du Lac Public Library. The program is aimed at area farmers, shoreline owners and anyone living in the Lake Winnebago watershed. 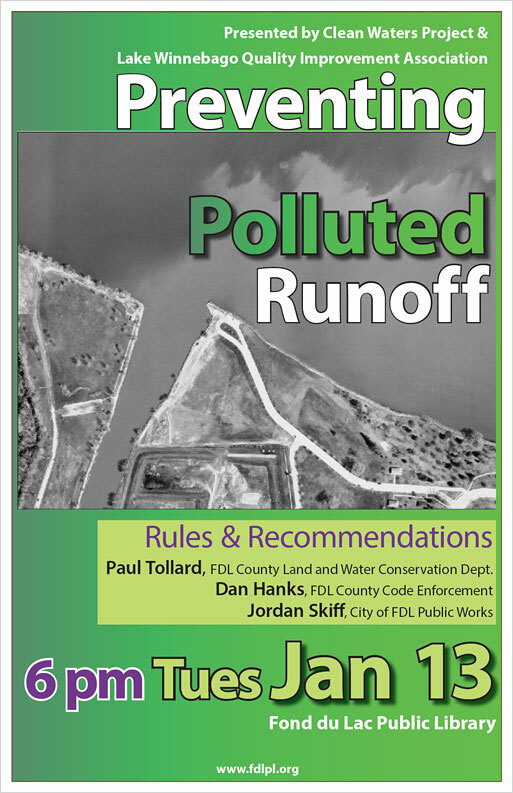 It will be an opportunity to learn about the current rules and upcoming regulatory changes governing runoff — what is and is not allowed. Paul Tollard, head of the Fond du Lac County Land and Water Conservation Dept. ; Dan Hanks, assistant code enforcement officer for the county; and Jordan Skiff, director of the city’s Public Works Dept. will present information followed by a Q&A. For more information about preventing runoff, visit Lake Winnebago Clean Waters Project on Facebook. *The Japanese hops and Asian cam are unconfirmed. Vouchers have been submitted. **All faucet snails have been vouchered as well. A map of the findings. Brock Woods of the Wisconsin Dept. 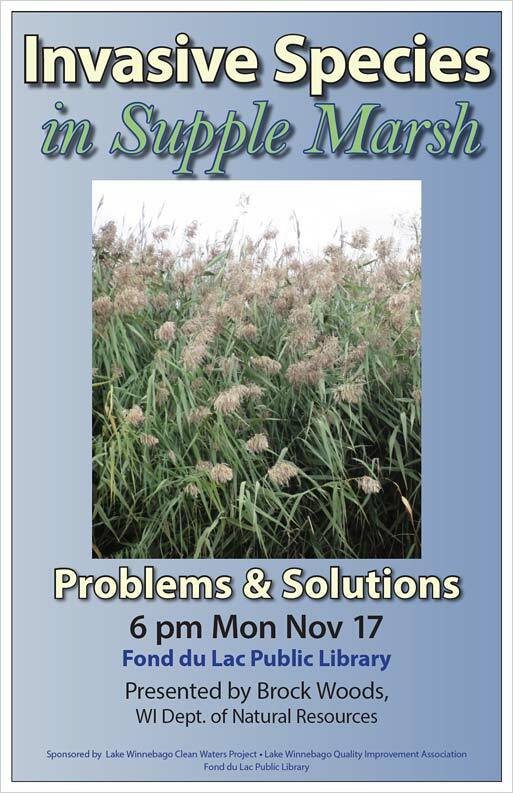 of Natural Resources will present "Invasive Species in Supple Marsh: Problems and Solutions" at 6 p.m. Monday, November 17, at the Fond du Lac Public Library. Supple Marsh is the 107-acre wetland in Lakeside Park West, Fond du Lac. It was purchased from the Supple family by the City of Fond du Lac in 1967. The public is invited to bring items related to the marsh — photos, maps, plans; historical and recent — to share at the events. 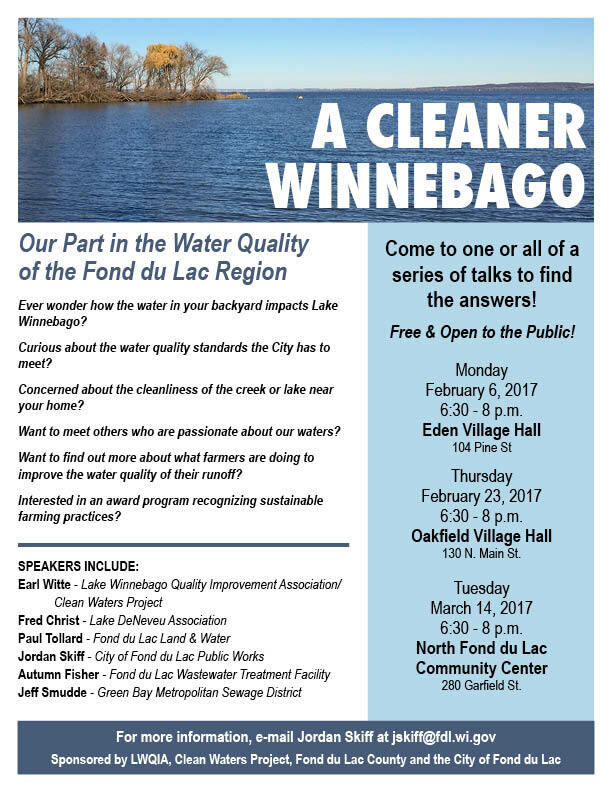 The program is sponsored by the Lake Winnebago Clean Waters Project, the Lake Winnebago Quality Improvement Association and the library. 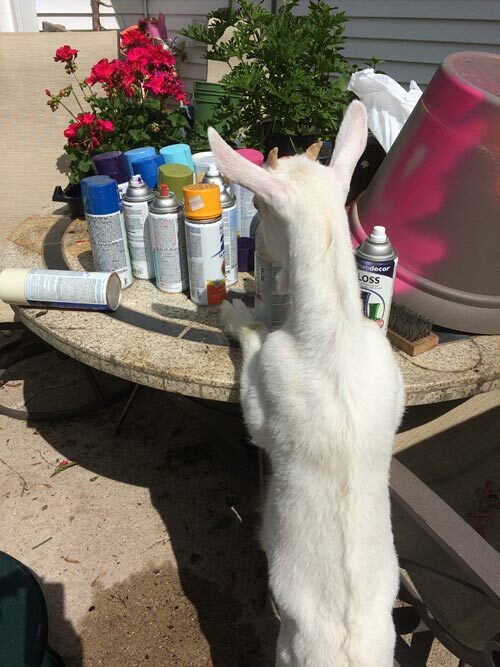 The quality improvement association will accept donations of marsh materials for study and future use. For more information about the Clean Waters Project, visit www.lakewinnebagocleanwatersproject.org or their page on Facebook. The Fond du Lac Public Library supports a high quality of life in Fond du Lac through reading, lifelong learning and community involvement. There are three locations: Main Library, 32 Sheboygan St.; FDLPL Express, near Festival Foods; and Journeys at St. Agnes, inside the hospital. For more information, visit www.fdlpl.org. 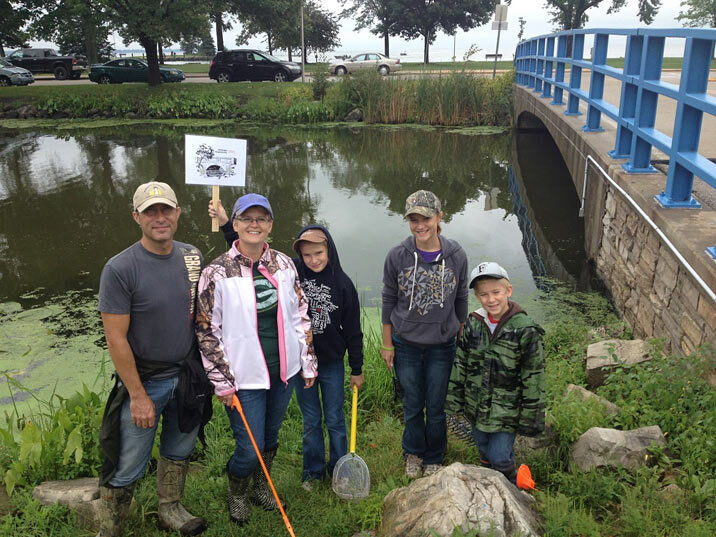 Lake Winnebago Quality Improvement Association Will Participate in Snapshot Day (Sept 13th) — a Statewide Effort to Gather Data about Invasive Species in Our Waterways. 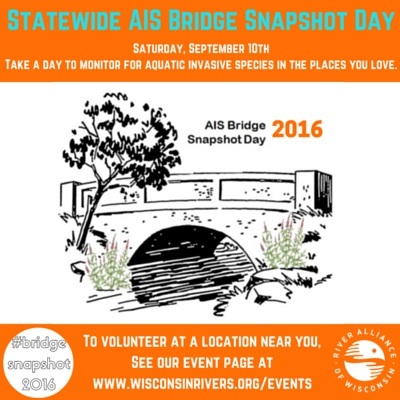 The River Alliance in partnership with aquatic invasive species coordinators and other partners around the state are hosting a statewide AIS Bridge Snapshot Day on September 13, 2014. Volunteers will gather at rendezvous sites around the state and learn to identify invasive species that threaten our waters. Then the volunteers will disperse to priority bridge crossings in hunt of invasive plants and animals and reconvene to submit their findings. In addition to gathering data regarding the distribution of invasive species in our waterways, this effort will focus on the early detection of aquarium plant releases. 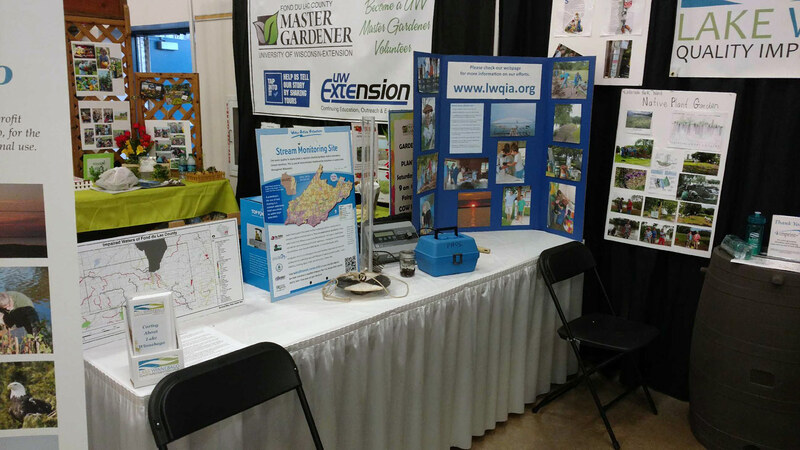 The Lake Winnebago Quality Improvement Association is partnering with the Winnebago Lakes Council and the Fox-Wolf Watershed Alliance to participate in the statewide venture. More than 70 sites have been selected throughout the Winnebago system for monitoring on Sept. 13th. 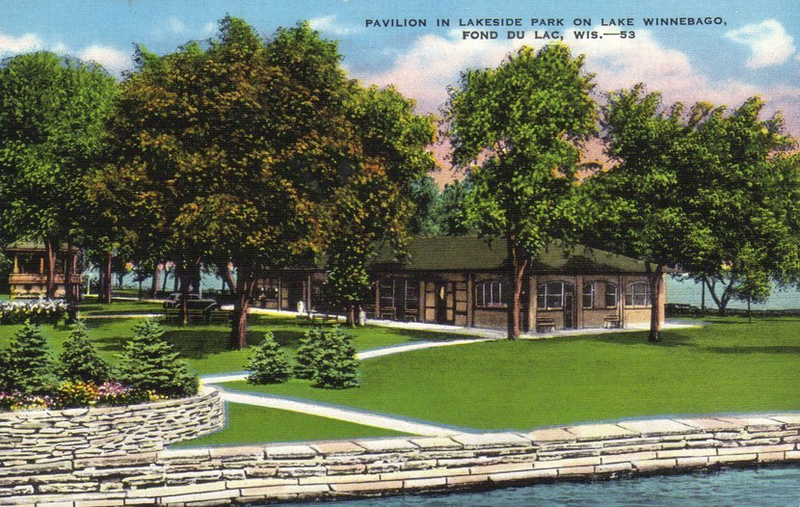 Fond du Lac will host a rendezvous site in Lakeside Park. Volunteers should be available from 9 AM to noon. Pat Miller, AIS Coordinator in Fond du Lac County says "This should be a lot of fun, training new volunteers and visiting a lot of different sites. I'm looking forward to this!" This and other volunteer opportunities with LWQIA are listed on www.fdlvolunteer.com as soon as they become available. 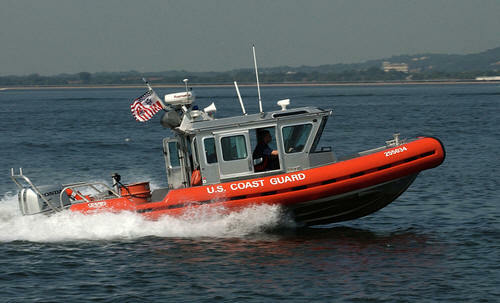 Boater Safety Seminar "On Your Side"
Audio recordings from this July seminar are now available. 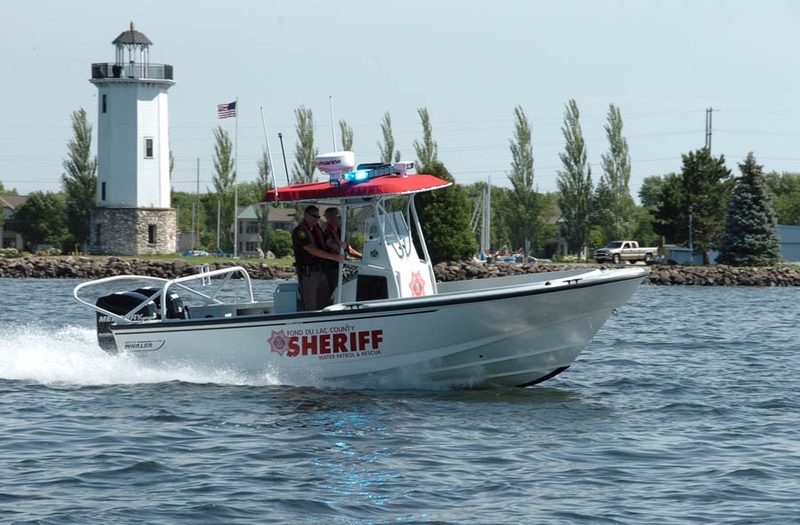 Hear the WI Department of Natural Resources, United States Coast Guard, and the Fond du Lac County Sheriff's Department discuss their differing roles when patrolling on Lake Winnebago, learn what other organizations offer to boaters and anglers on the lake and at launches, and best ways to stay safe. Listen to the seminar audio presentations. 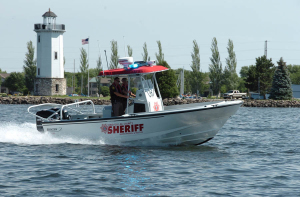 If you have been on Lake Winnebago, for business or recreation, you may have noticed three different agencies on patrol. County, state and federal agencies enforce the law to protect the lake and the people who enjoy it. 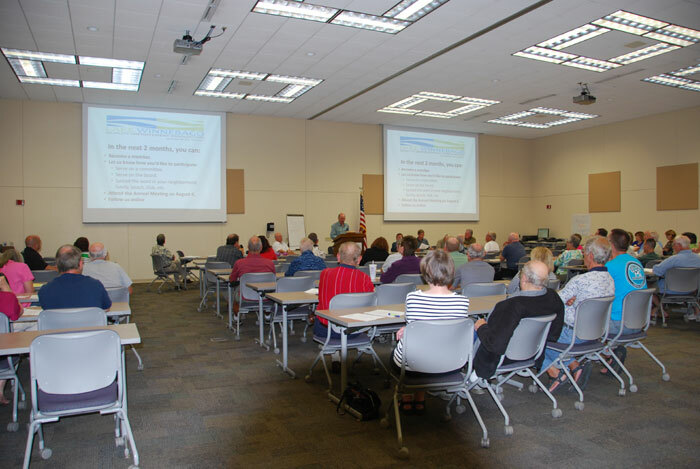 To explain their different responsibilities and regulations, the Lake Winnebago Quality Improvement Association (LWQIA) has organized "On Your Side," a free seminar on Wed., July 17. 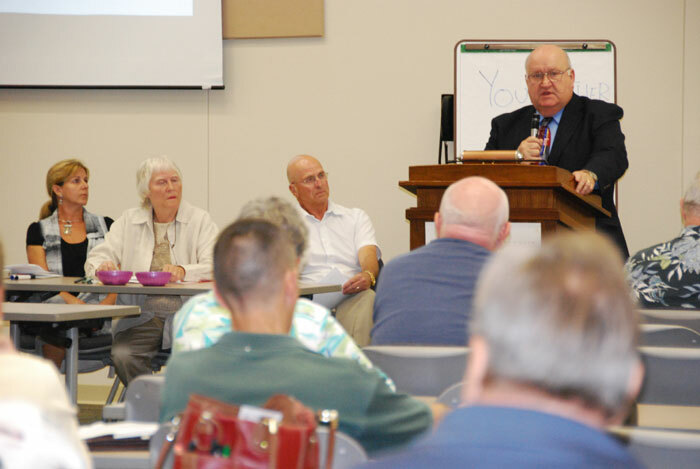 Larry Kent, spokesperson for LWQIA, worked with UW-Extension to bring together the Sheriff's Office, the Department of Natural Resources, and the U.S. Coast Guard. "The DNR and law officers have different roles and jurisdictions," he says. "They will discuss those and take questions from the audience. They are bringing actual patrol boats and other rescue equipment so people can see first-hand what goes into patrolling our lakes." The seminar will also introduce Water Guardians and Aquatic Invasive Species Coordinators, who interact with boaters on the lake and at landings. To attend, enter the University Center doors by the flag poles. The seminar is in room UC 113/114, also called the LGI. Registration is preferred but not required. Call (920) 929-3173 (711 for relay) or e-mail gloria.kelroy@ces.uwex.edu to register or arrange ADA accommodations. 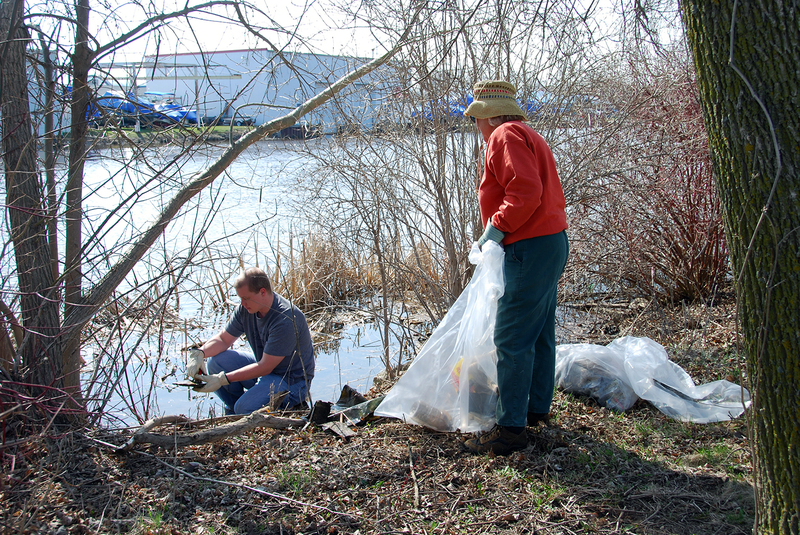 Over fifty volunteers spent part of their day Saturday, April 27 picking up trash along the Fond du Lac River, Supples Marsh and at Lakeside Park, to make the river a better, cleaner place. The annual event, organized by LWQIA member Andrew Karleigh, is in its thirteenth year. 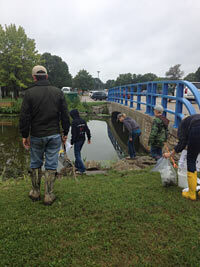 Thanks to all the volunteers and sponsors for making this year's cleanup a success! We look forward to working with you again next year. 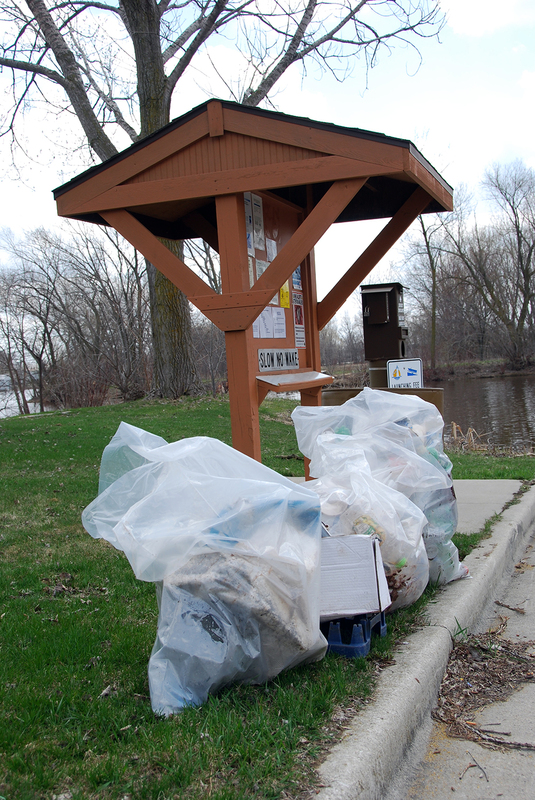 KW7The Fond du Lac River and Lakeside Park will get a dose of spring cleaning during the thirteenth annual Fond du Lac River Cleanup on Saturday, April 27. This is an opportunity to work together for a good cause. 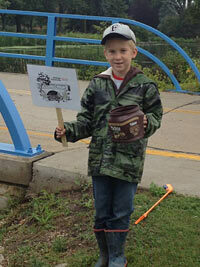 LWQIA member Andrew Karleigh is coordinating this year's cleanup and is requesting your participation. 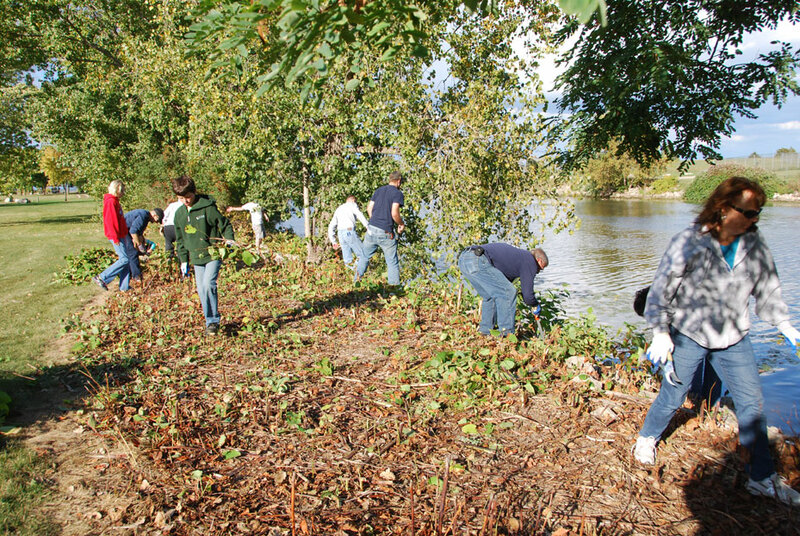 Clearing debris from the Fond du Lac River not only improves the landscape for residents and visitors to enjoy, it improves the health and water quality of the river. The cleanup also helps protect waterfowl and other birds that nest along the shorelines later in the spring. Many plants and animals depend on access to the water for survival. 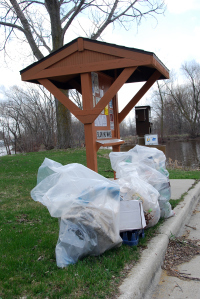 You can help by volunteering a few hours of your time to collect garbage beginning at Oven Island North Shelter in Lakeside Park. 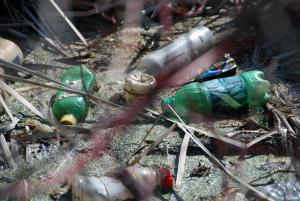 Maps, bags, and gloves will be provided for cleaning up the river banks. 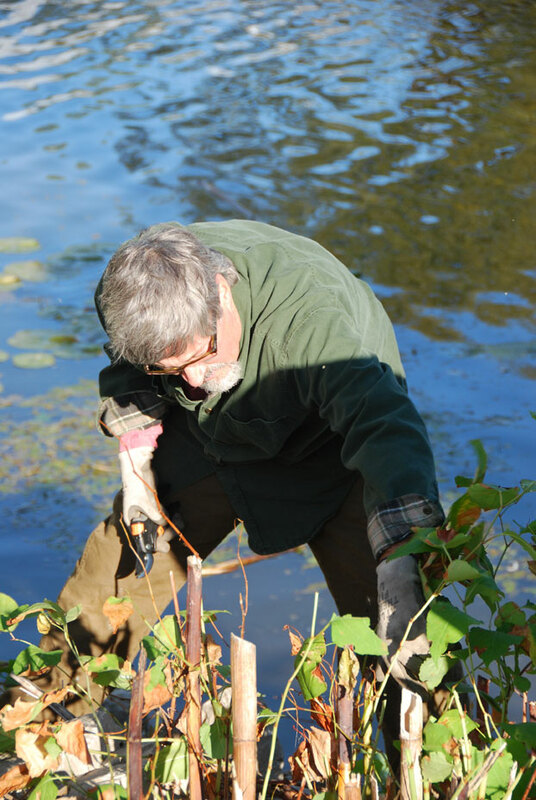 Training on the identification of Japanese Knotweed and Phragmites will also be provided. Dress accordingly for the weather. Release and sign-up forms will be available at the registration table the day of the event. 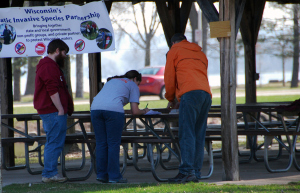 This year's Fond du Lac River Clean Up is sponsored by FHS Environmental Club, UW-FDL Environmental Club, and Marian University Environmental Club, Lake Winnebago Quality Improvement Association (LWQIA) and the Fond du Lac County Land and Water Conservation Dept. We need your support for this very worthy event. Five counties — Fond du Lac, Calumet, Outagamie, Waushara and Winnebago are working together on a plan to improve the Lake Winnebago system. Michael Lizotte, president of the Winnebago Lakes Council, will provide an update on a new project studying ways to improve cooperation and collaboration in managing the Winnebago Pool Lakes. The project, initiated by county governments, will analyze current plans and information about the ecological, social and economic conditions of the lakes and surrounding communities. This will provide a snapshot of current lake management. There will also be a significant effort to gather input from stakeholders to determine the issues most pressing to lake users. The project will provide a foundation for future work to coordinate lake management by local governments by helping them find approaches that are politically, socially and environmentally feasible. From Appleton and Tustin to Stockbridge and Fond du Lac, and everywhere in between, residents and business owners are sharing their opinions and experiences on how they use our local waterways and how those waterways should be managed. The Weigh in on the Winnebago Waterways project is gathering input from Calumet, Fond du Lac, Outagamie, Waushara and Winnebago Counties. "The Weigh-in on the Winnebago Waterways is dedicated to protecting our local lakes and rivers by understanding how we use our local waterways", said Allen Buechel, Fond du Lac County Executive. "The goal of the project is to seek input from the public to help determine the best way to protect our local lakes and rivers." Public meetings will be held on the following dates and at the following locations. All meetings will take place from 6:30 — 8 p.m. Please click on the highlighted text below to view (PDF) document. Thank you to Andrew Karleigh — Fond du Lac County AIS Coordinator and to Christina Wolbers — WDNR AIS Specialist for hosting this training session on October 11. 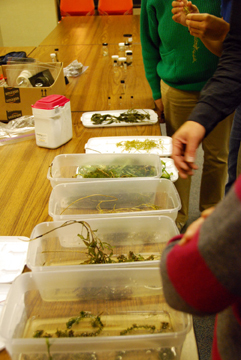 Members of the LWQIA that attended were treated to hands-on specimens of Quagga Mussels, Eurasian Water Milfoil, Curly Leaf Pondweed, Spiny Water Fleas, and lots of other invasives, as well as a very informative PowerPoint presentation. One of the most successful efforts of the Wisconsin Lakes Partnership has been The Citizen Lake Monitoring Network. Every year since 1986, dedicated volunteers monitor lakes statewide for a variety of different water quality and lake health indicators. 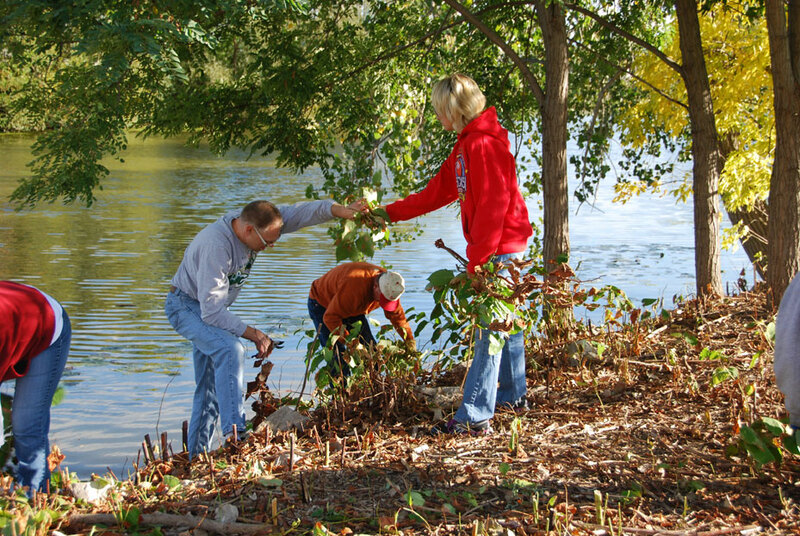 The effort, which started as 126 volunteers on 113 lakes, has grown to an impressive 1,100 volunteers on 850 lakes. Today, in addition to monitoring water clarity, volunteers take chemistry samples and monitor for aquatic and shoreline invasive species. The amount of data the Department and partner organizations receive from these volunteers is astounding and crucial for long-term lake planning. Fond du Lac City/County Building in rooms F and G.
Participants should be at least 15 years of age. There is no need to pre-register for the training. 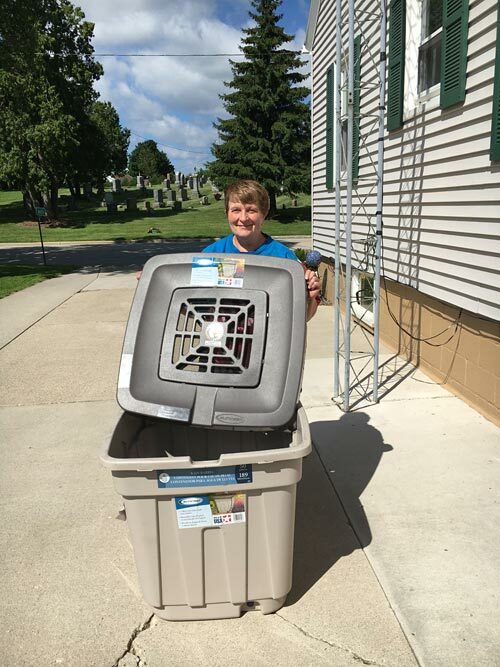 The free session will be offered by Fond du Lac County Invasive Species Coordinator, Andrew Karleigh, in cooperation with the Lake Winnebago Quality Improvement Association. Christina Wolbers of the DNR Lake Michigan Basin project will help with the training. The goals of the Citizen Lake Monitoring Network are to collect high quality data, to empower volunteers and to share this data and knowledge. Volunteers, who are asked to commit to at least three hours per year, measure water clarity and may also collect chemistry, temperature, and dissolved oxygen data, as well as identify and map plants, and watch for the first appearance of Eurasian Water Milfoil near boat landings. In Lake Winnebago monitors will also be watching for invasive species such as the Quagga mussel, Spiny Water Flea and Hydrilla. 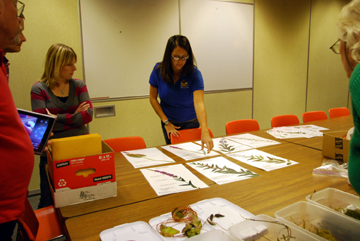 During the training session, people will also be given the opportunity to look at live specimens of native species which are found in Lake Winnebago. On September 21 over a dozen volunteers from the community joined together at Supples Marsh for a Japanese Knotweed cutting party. 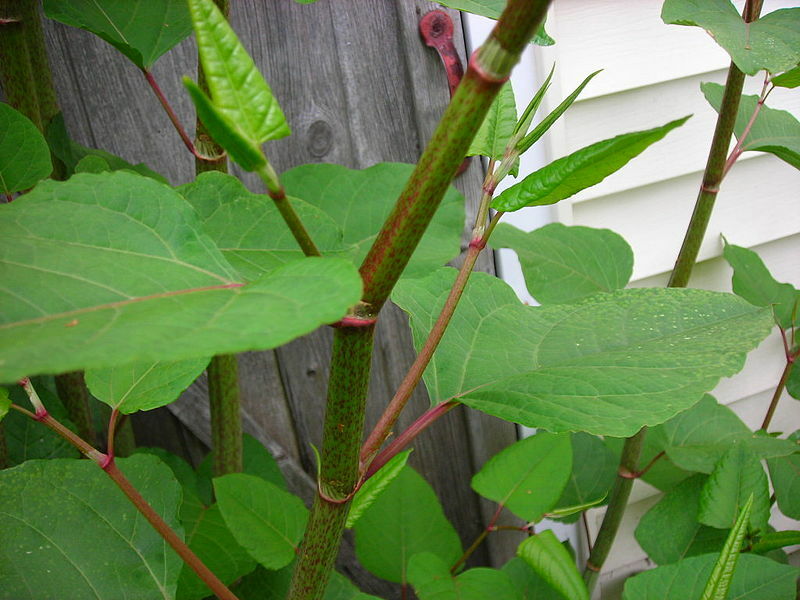 Japanese knotweed (Polygonum cuspidatum) is a herbaceous perennial that forms large colonies of erect, arching stems (resembling bamboo). Stems are round, smooth, hollow and reddish-brown. 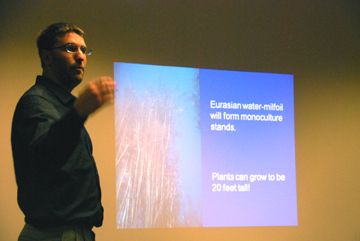 Plants reach up to 10 feet in height. This invader can crowd out all other plants on waterways, lakeshores and wetlands. 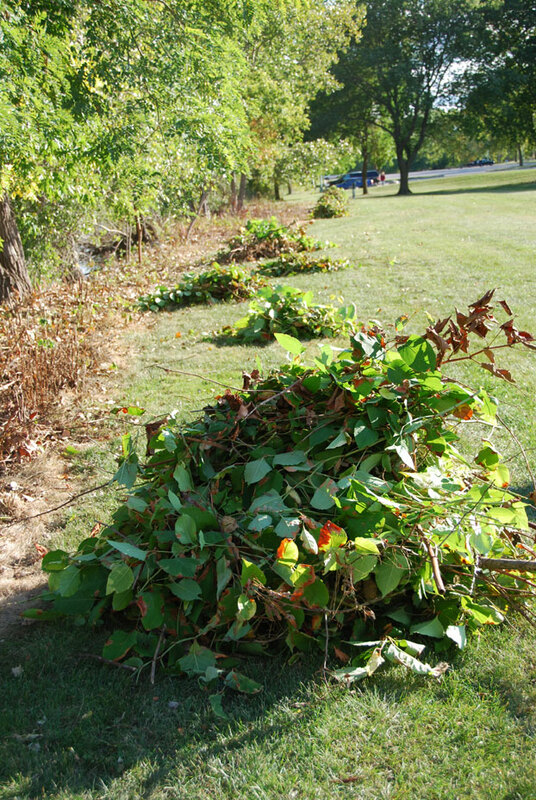 The volunteers successfully removed much of the knotweed from the area. Fond du Lac County Invasive Species Coordinator, Andrew Karleigh, coordinated the effort. A notice was sent out to LWQIA members encouraging them to help in the event. Thanks again to those who were able to help out! 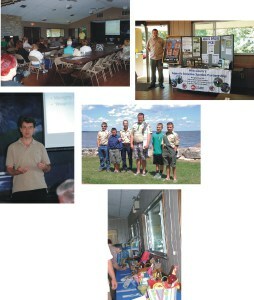 "Getting to Know the Lakes" and "Lake Winnebago: Through the Ages"
"Common Highways, Forever Free" and "The Worth of Water"
"Aquatic Plants: The Underwater Forest"
"Fish" and "Challenges to a Healthy Lake"
Below you will find articles covering past meeting announcements from the Lake Winnebago Quality Improvement Association. To read our event articles, click the Events tab above. 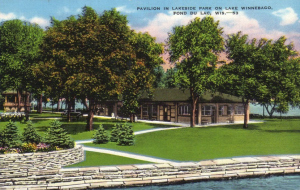 The 2015 Annual Meeting of the Lake Winnebago Quality Improvement Association of Fond du Lac County (LWQIA) will be held Saturday, August 1 at 10:00 AM in the Pavilion at Lakeside Park. The Annual Meeting will be preceded by the August Board Meeting at 9:15. If you haven't already renewed your membership, please send your $25 check to LWQIA, PO Box 1716, Fond du Lac WI 54936-1716 or you may pay at the Annual Meeting. LWQIA is an IRS designated 501(c)(3). Your membership fee is tax-deductible. 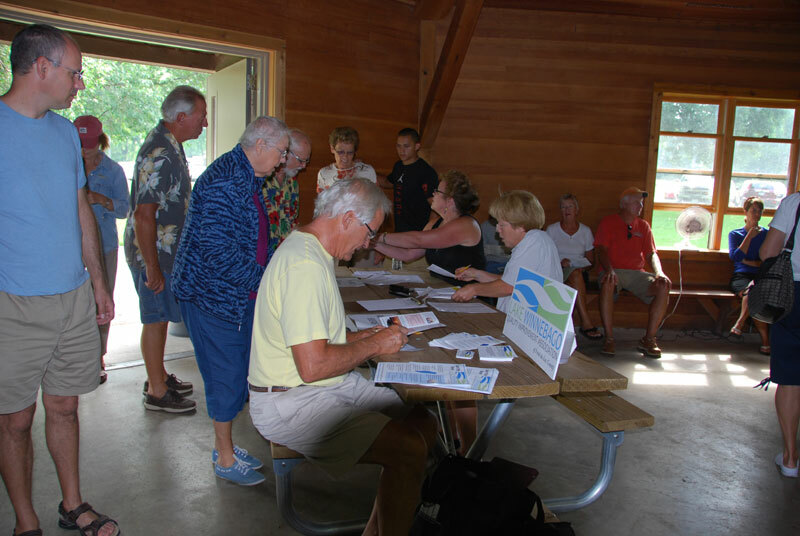 The Lake Winnebago Quality Improvement Association of Fond du Lac County will be conducting their Third Annual Meeting on August 2, 2014, at 10:00 AM at the park pavilion in Lakeside Park. There will be a short business meeting, a guest speaker and several table displays. The meeting is open to all association members and anyone else interested in Lake Winnebago. The guest speaker will be Mr. Paul Tollard, Fond du Lac County Conservationist. Mr. Tollard will be discussing the various watersheds in Fond du Lac County that feed into Lake Winnebago. 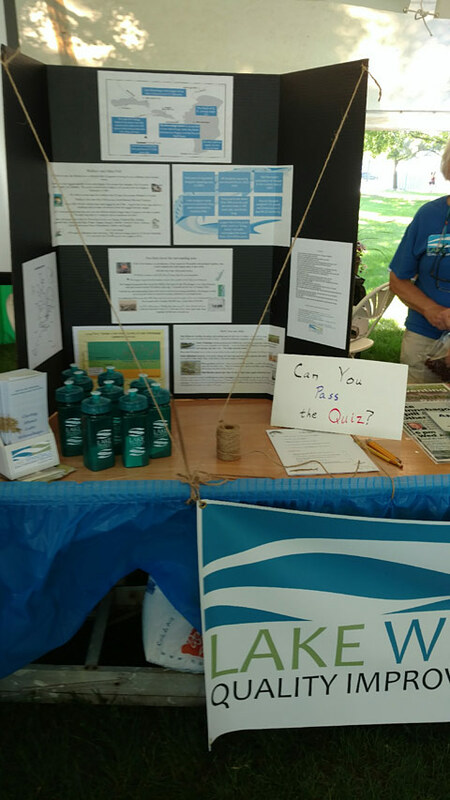 The Lake Winnebago Quality Improvement Association is a non-profit group of private citizens that are primarily concerned with aquatic invasive species, excessive aquatic plant growth, water quality and water levels in Lake Winnebago. Anyone who enjoys Lake Winnebago and is concerned about the lake can become a member of the association by submitting the annual dues. There are no membership restrictions. Fond du Lac City/County Building — meeting rooms F&G. We would like to extend an invitation to attend our next meeting in November. 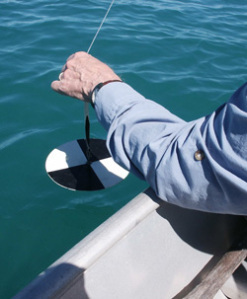 LWQIA is considering establishing a monitoring program for the southern end of Lake Winnebago. To aid in its deliberations, the Board has invited Andrew Sabai to speak at the November meeting. 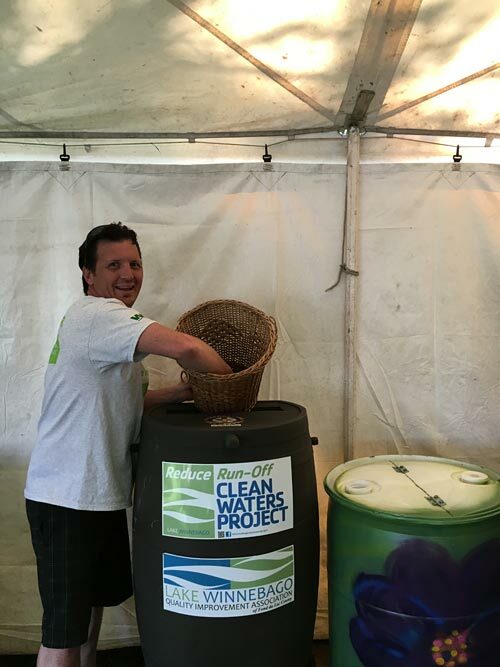 Andrew, a lake and wetland ecologist, is the Grant Coordinator for Lake Puckaway. He will talk about the history of monitoring the Winnebago system, the various methods and the value of such measurements. The meeting begins at 7 p.m. and Andrew will speak shortly thereafter. LWQIA members are always encouraged to attend Association Board meetings. Larry Kent presents an overview of the association's goals and accomplishments. Guest speaker, Mike Lizotte, Winnebago Lakes Council, gives a history of the Winnebago system. Scouts from Troop 705 and a fish line receptacle. This is an informative meeting for LWQIA members and their guests. The public is welcome. There will be an opportunity to sign up and become a member or renew your membership. Special presentation: A History of Lake Winnebago — Looking Back but Moving Forward. Mike Lizotte, president of Winnebago Lakes Council, explores the history of the Winnebago waterways and its changing terrain and shifting uses. Andrew Karleigh, Aquatic Invasive Species Coordinator for Fond du Lac County, will give a presentation on the Landscape for the Lake Demonstration Project at Supples Marsh. Update on the Fishing Line Receptacle Project. A LWQIA sponsored Eagle Scout project. If you are a member, you can also participate in electing or being elected to the LWQIA Executive Committee and help shape our future activities. Each basket has a theme and is filled with goodies galore. Come and join the fun, bid on your favorite basket! All proceeds benefit the LWQIA and its mission. Psst... Help pass the word about the good things we are doing and invite your neighbor to come along! Board Meetings are held the first Wednesday of each month at 7 p.m.
All Association members are welcome and encouraged to attend Board meetings. LWQIA 1st Annual Meeting a Success! On Saturday, August 4, 2012 the LWQIA hosted its 1st Annual meeting for members and interested guests at Columbia Park Hall. Approximately 50 people were in attendance for the business meeting and educational presentations. Association President, Ellen Balthazor introduced various committee chairs to provide a report on the association's structure and goals for the future. The business meeting included the election of the coming year's Officers and Board of Directors, an Amendment to the By-Laws, and the status of incorporation papers. Each committee — Science, Finance, Social, Membership and Education — also gave brief reports to the membership. Guest speakers Mike Arrowood-Interim Director, LWQIA and Andrew Karleigh-AIS Coordinator, Fond du Lac County presented programs on "Walleyes & Sheephead" and "Aquatic Invasive Species." The meeting concluded with refreshments and a "meet and greet" among the membership. 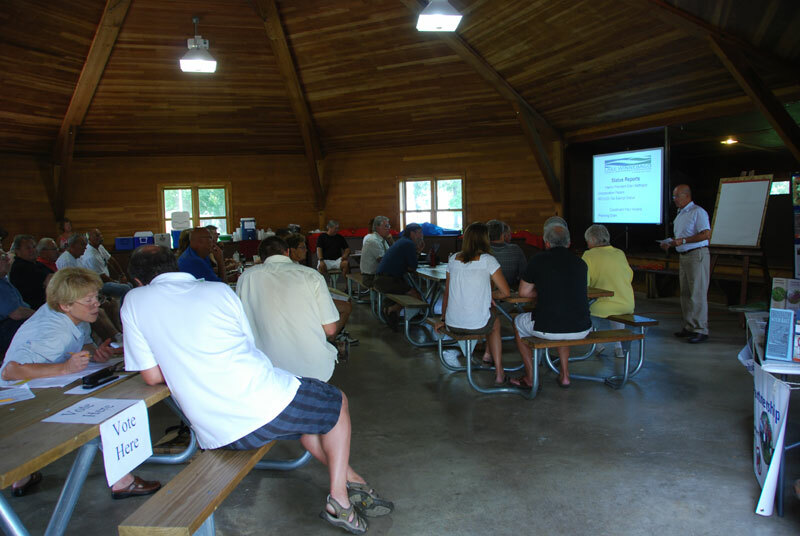 The Lake Winnebago Quality Improvement Association invites one and all to join us for our first annual meeting on Saturday, August 4, 2012 from 10 a.m. — Noon. The meeting will be held at the Columbia Park Hall located in Columbia Park aka Calumet Harbor, and promises to be interesting and informative. The meeting is open to the public and we encourage you to attend. If you are a member, you can also participate in electing or being elected to the LWQIA Executive Committee and help shape our future activities. So don't forget the date, August 4. LWQIA membership is not required. Come on out and get to know others interested in the long term quality of the lake and its surrounding environment. Columbia Park is located approximately one mile west of Pipe on the east shore of Lake Winnebago. Follow Highway W for 0.8 mile west of Highway 151 to the park. At the June 20th meeting, the Board agreed to meet on the first Wednesday of each month at the Fond du Lac City/County Government Center, starting at 7 p.m. All Association members are welcome and encouraged to attend any Board meeting. Since the first Wednesday of July is a holiday, the July meeting will be held on the July 11th. The various Association Committees will schedule their meetings on an as-needed basis. 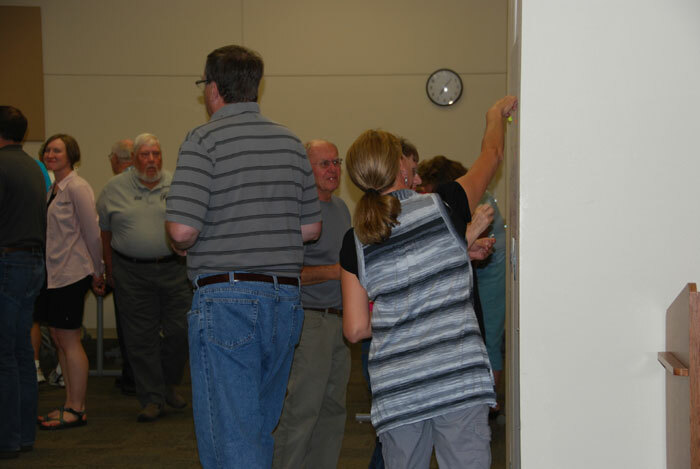 On June 6th, the Lake Winnebago Quality Improvement Association of Fond du Lac County met for its first public meeting. 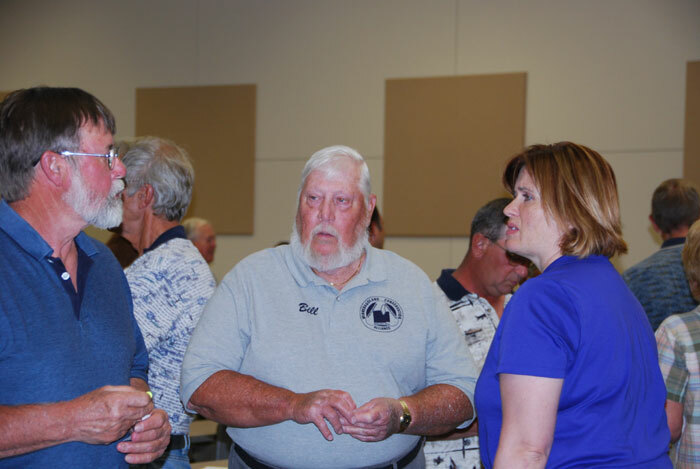 Approximately 60 people were in attendance and included a variety of "lovers of the lake" — home owners, fishermen/women, boaters, conservationists — all concerned about the lake and ready to take action by becoming members of the association. Membership fees — $25 per member. A member is defined as an individual, family, business or organization. Each paid membership equals one vote at the annual meeting which is planned for Saturday, August 4, 2012 at 10 a.m. in Fond du Lac — location to be announced. Check this site for updates. The most important part of the meeting was the feedback received from all in attendance. Everyone was asked to pick three topics of utmost importance to them, as they will become the three areas of concern that are tackled the first year as an association. The three most urgent topics chosen were: Aquatic Invasive Species, Water Quality and a tie for third... Aquatic Plants, and Lake Water Levels. Now we need your help! We are looking for people to serve on committees to get the ball rolling in these four vital areas. Our hope is to educate the public, work with the county/state and DNR agencies and keep all our members up-to-date on the conditions and changes happening to Lake Winnebago that affect us all. Please join and become involved! Watch this site for more updates about the association, dates for committee meetings and other events. Whether you own lake property, are an avid fisherman, outdoorsman, recreational boater or simply have an interest in the ongoing health of the lake, mark your calendar for the first public meeting of the Lake Winnebago Quality Improvement Association of Fond du Lac County. Let us know what YOU want and what your vision for the future of the lake's recreation and natural resources might be. Learn the history of how the association got its start, where we are now and where we want to go. Discuss areas of concern that are most important to you. For anyone who loves and wants to protect this unique natural resource, now is your chance to help form and shape this association. We invite you to attend this important meeting and look forward to seeing you there! The first Stakeholders meeting of the Lake Winnebago Quality Improvement Association of Fond du Lac County will be held on June 6, 2012 at the UW Fond du Lac Campus, Main Building, room UC113/114. This will be the roll-out of the new lake association and will be of interest to lake property owners, lake users such as fishermen and boaters and anyone who values the overall quality of our lake. Plan to attend and learn much more about your lake association. The next Organizational Team meeting is scheduled for Wednesday, May 16, 2012 in room "H" at the Fond du Lac City/County Center starting at 7:00 PM. 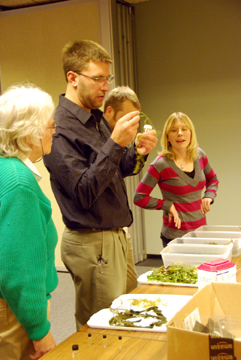 Guests will include Susan Tesarik and Paul Schumacher of WI Lakes and Diana Hammer Tscheschlik of UW-Extension. The composition of the Board of Directors was identified. Attendance at meeting may be by electronic means. Duties of the President, Vice-President, Secretary and Treasurer were established and the co-signature of the President or Vice-President is required on all checks. Standing committees are Membership, Social, and Finance. Others will be appointed by the President as needed. The fiscal year will begin on July 1 and end on June 30. Our next committee meeting is scheduled for April 11 at 7:00 PM in the Fond du Lac City/County Center. Meetings are scheduled for Wednesday March 14, 2012 and Wednesday April 11, 2012 in room "H" at the Fond du Lac City/County Center from 7:00 to 9:00 PM. At the February 8 meeting both a mission statement and a vision statement were approved. 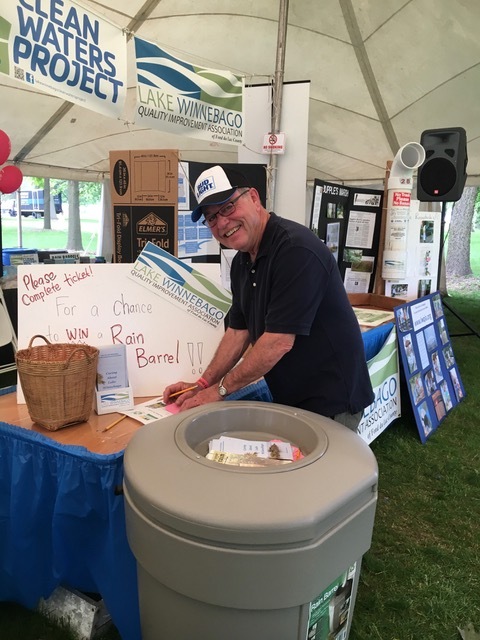 MISSION: For the benefit of the general public, the purpose of the Lake Winnebago Quality Improvement Association is to strive to improve the overall quality of Lake Winnebago for the betterment of natural habitat and recreational use. VISION: The Association will educate, communicate and take action on lake quality issues and promote cooperation among governmental units, interested organizations and the general public. We will be organized as a nonprofit, non-stock corporation under chapter 181 of Wisconsin Statutes. Membership will be open to any interested individual, family, organization or business. Annual dues are $25 per member. Each year an annual meeting will be held on the first Saturday in August at a time and place to be determined. The Association may sponsor educational, recreational, social and/or fund raising meetings for members and guests. Further development of By-laws will be done at subsequent meetings. The next Organization team meeting is scheduled for Feb 8, 7:00 PM at the Fond du Lac City/County Center, room G.